Early this week, many of you experienced the Sun Oven Webinar and took advantage of the free Prepper eBook that was offered. 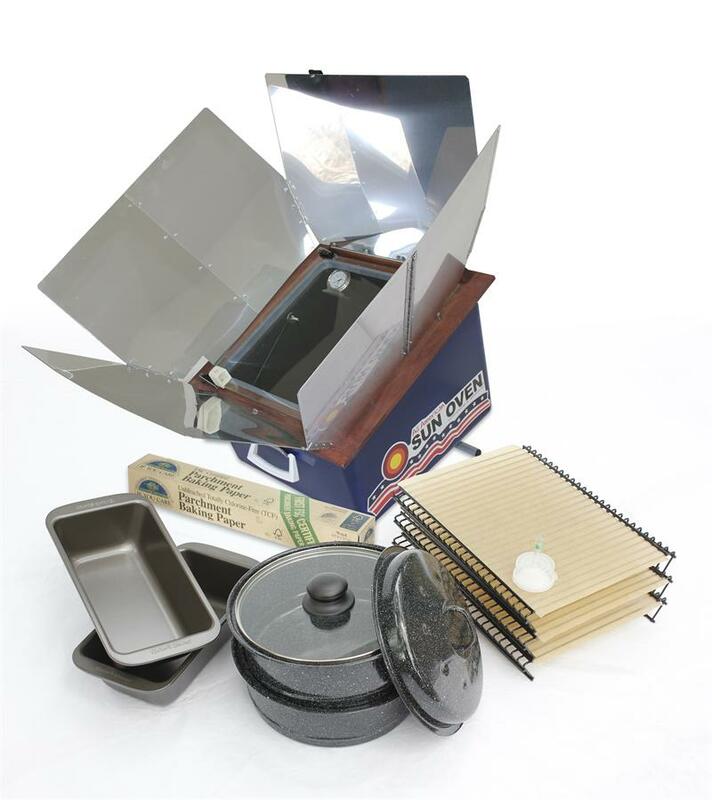 The accompanying Sun Oven Preparedness package offer is amazing, but it expires in only days (11/21). Including the package freebies that are being thrown in during this offer, savings of well over $200 can be yours. Register Now for TONITE's Free "Cooking w the Sun" Webinar ... Get a Free Prepper eBook! Learning to cook with the sun has helped us to be better prepared, and baking outdoors has reduced our utility bills. Sun Ovens are the most commonly used solar cooker to activate the sun's power to bake, boil, steam, and dehydrate food. We thought you might enjoy learning more about how to harness the power of the sun to cook, so we invited Paul Munsen of Sun Ovens International to teach a free interactive web clinic. Paul has devoted his life to sharing fundamental Sun Oven Cooking techniques with people all over the world. Want to know more about how to cook with the power of the sun? The Tips & Tools for Cooking with the Sun Web Clinic show you the fundamental sun cooking and baking techniques to help you warm up to the idea of cooking with the sun. Why? Well, to save money now and be better prepared for emergencies. Not to mention the sheer fun of it. Whether you have a Sun Oven and want to learn more or you know nothing about solar cooking you will find this seminar beneficial. There is no charge for this class but reservations are required. "Emerging From An Emergency What you should do if...?" Being prepared for disasters and emergencies can seem like a big job. Many people don't know where to start, so they never start at all. This free 120-page eBook is a compilation of publicly available documents to aid you in the planning process to enhance your likelihood of your survival from any kind of tragedy.